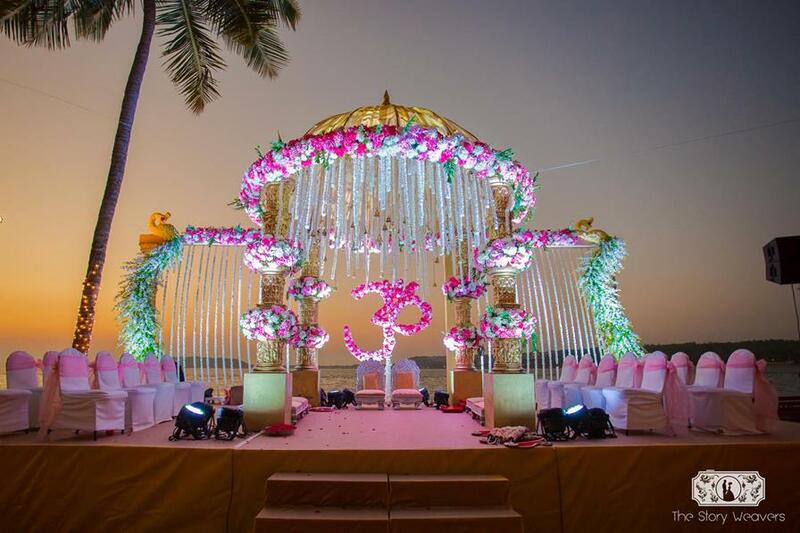 Shrutika and Dirin had a very filmy start to their story. 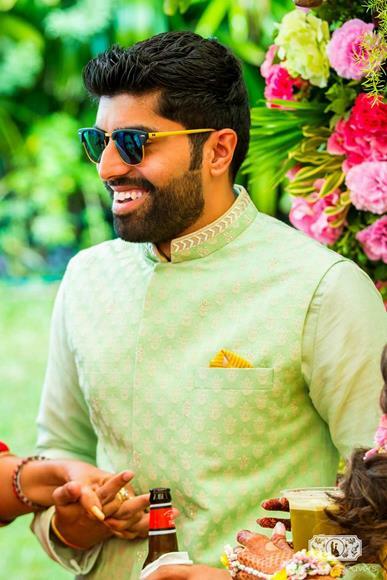 Introduced by a common friend at a wedding, these two lovebirds managed to survive their long-distance relationship and turn that into a beautiful wedding. 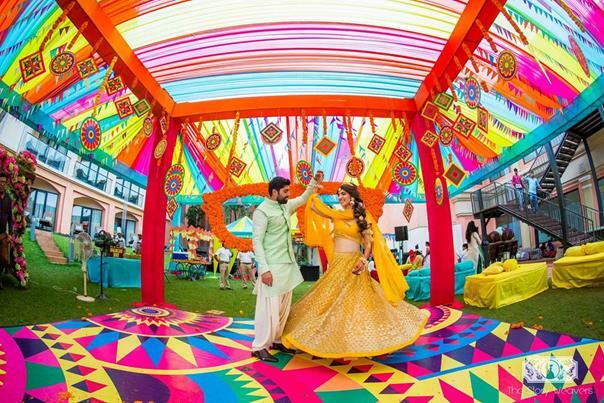 Being from different parts of the world, they decided to have a Destination wedding in Goa with a super cute colourful Kitsch mehendi too! 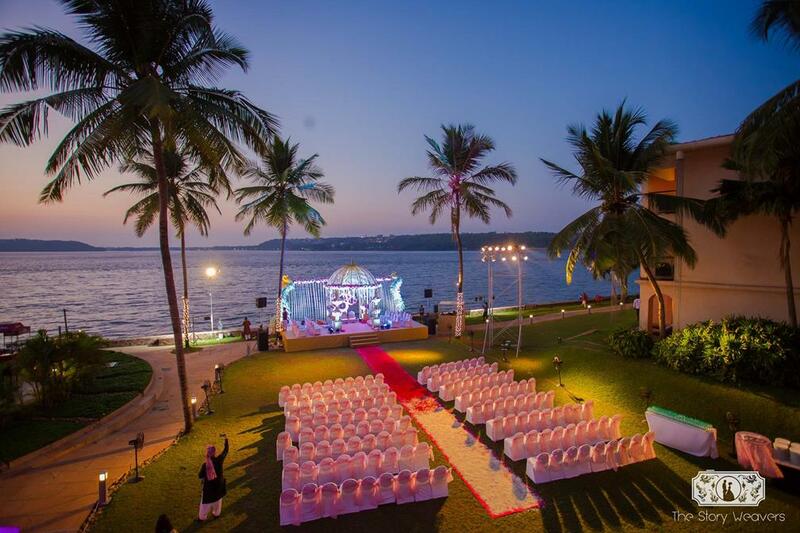 Here Are All The Things we LOVE From Their Destination Wedding in Goa. 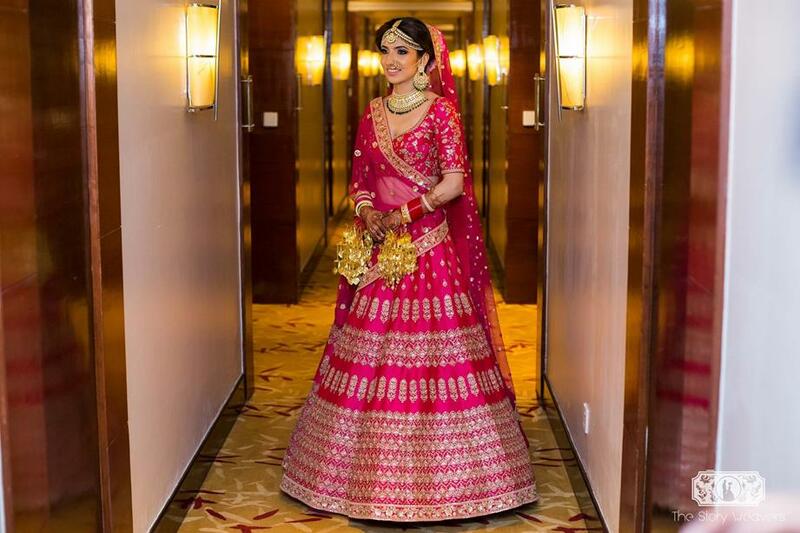 Shrutika’s Disney Princess Look for her Mehendi. 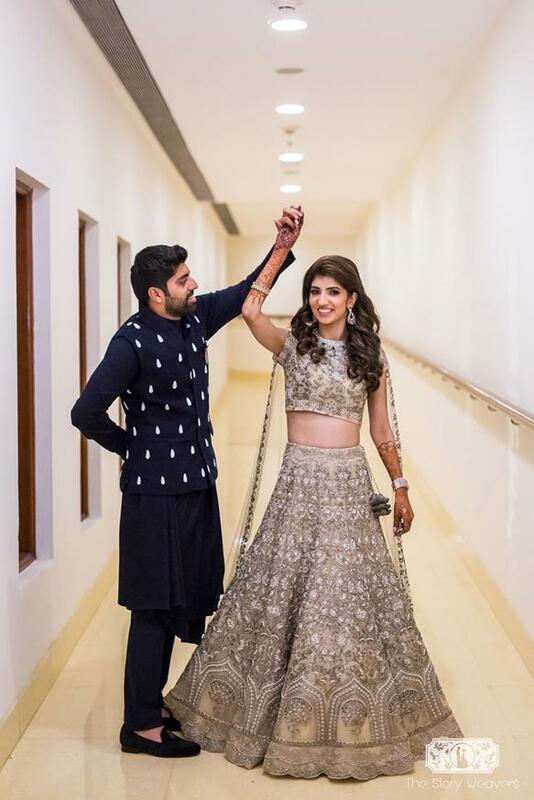 Shrutika opted for a Yellow lehenga for her mehendi. 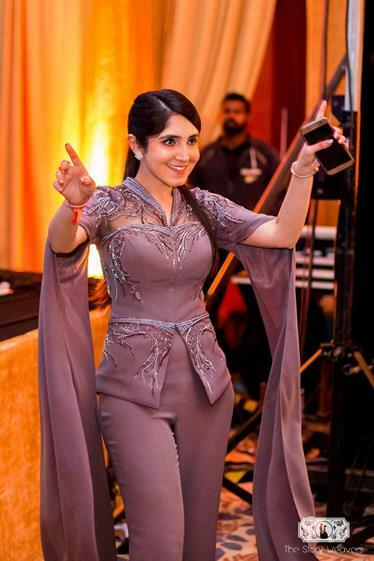 Her look was inspired by Jasmine and she looked just like a Disney Princess! 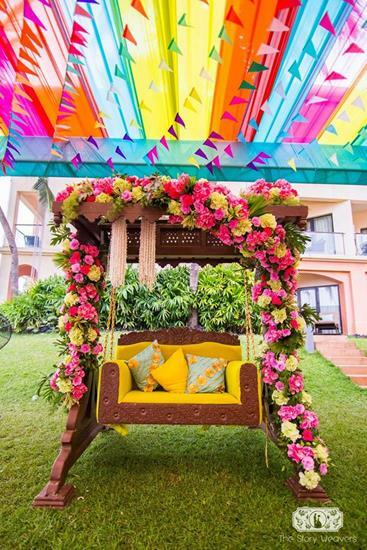 To plan your Dreamy Mehendi look, just head here! 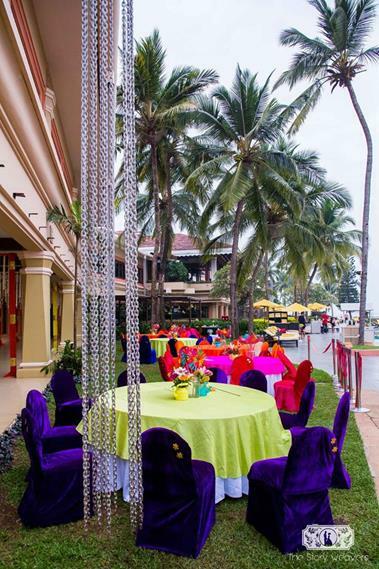 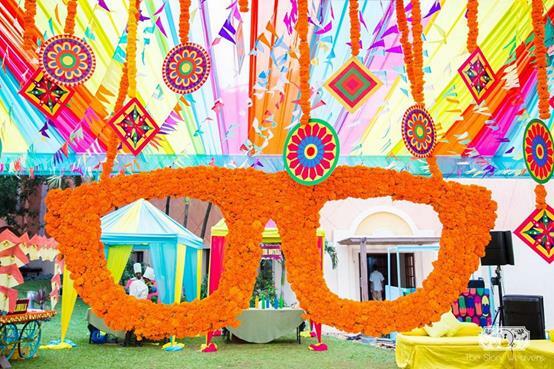 Shrutika and Dirin’s Kitsch mehendi decor has some really quirky elements for sure! 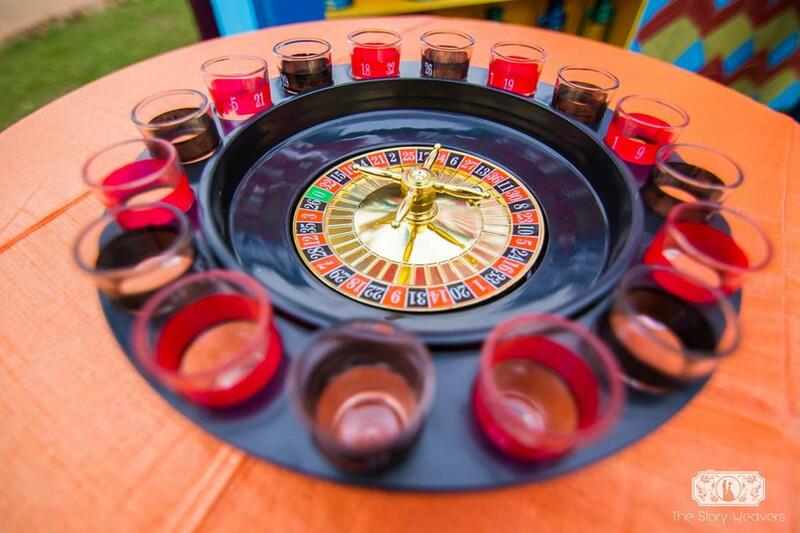 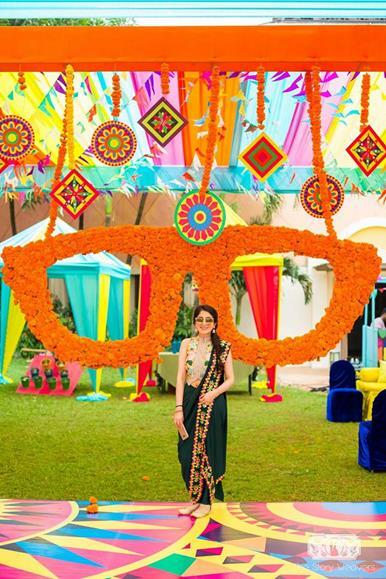 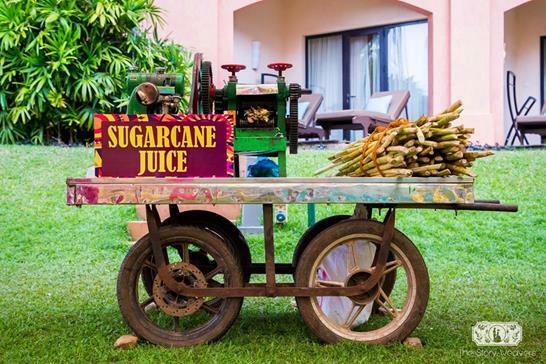 From the fresh Sugarcane juice cart to the small shot glasses, from the colorful decor to the huge hanging Chashma frame, they had a strong decor game! 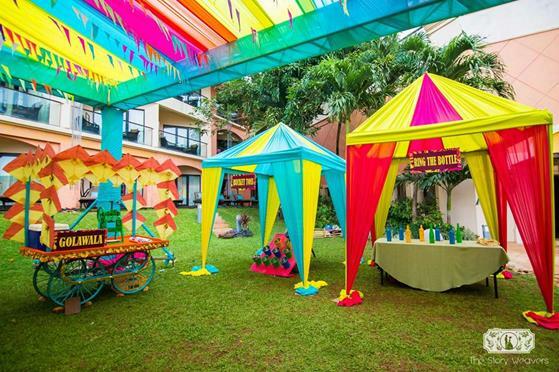 Wants to have a Fun and Kitschy mehendi decor, look no more! 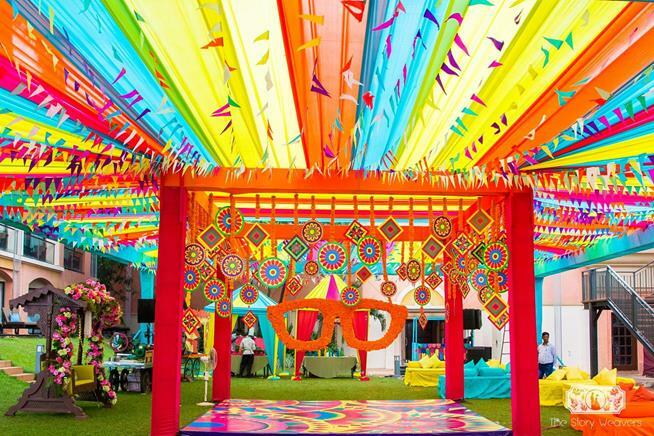 Head here to plan your DIY Kitsch mehendi decor. 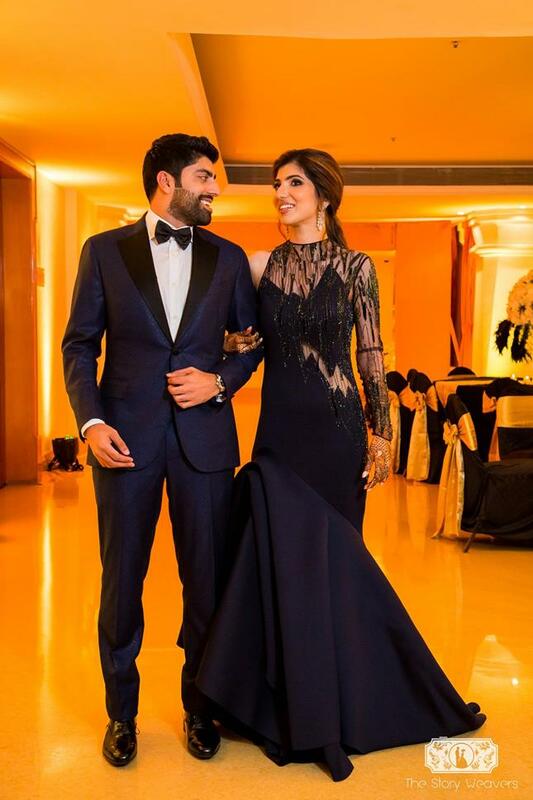 How beautiful these two looks, in their wedding attire? 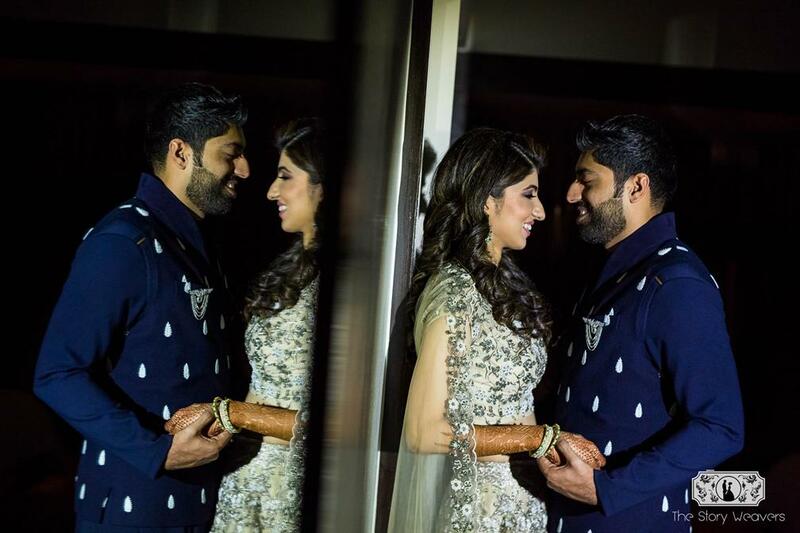 We absolutely loved Shrutika’s outfit choices and the way these two complement each other for every look they wear. 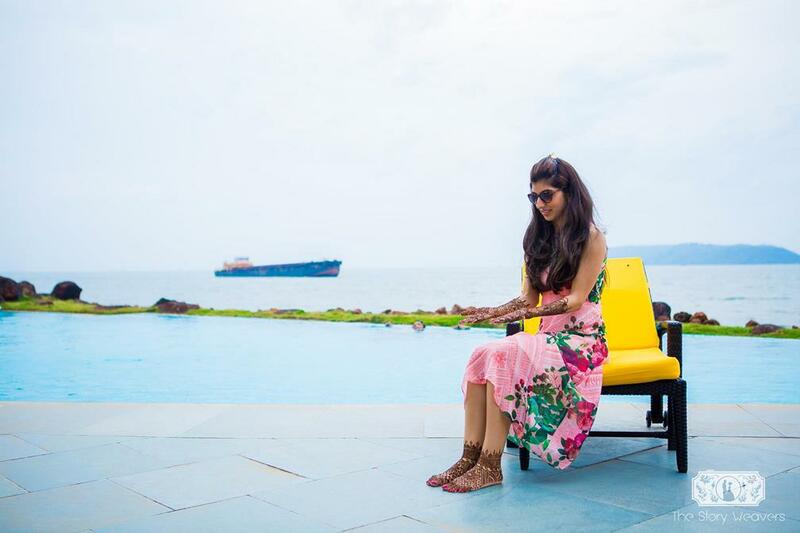 Nailing the coordinated outfits!